In September (2017) I joined a trip to Vietnam, Thailand, Hong Kong, Macau and China . It was to do with my other hobby of bird watching ( the metal kind with engines. We flew initially to Ho Chi Min City ( Saigon ) on the 2nd September in a new Boeing 787 of Vietnam Airlines, ending up at Shanghai on 15th September. 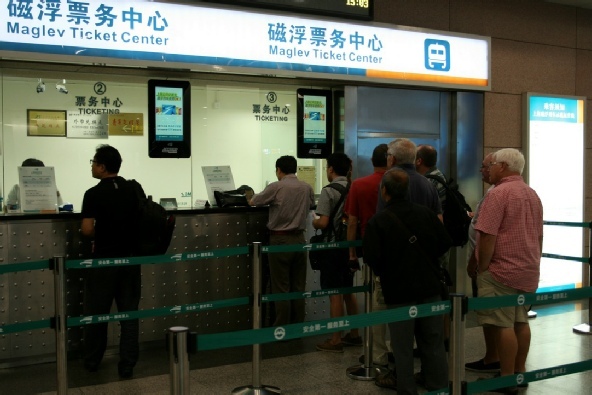 About 12 of the group elected to have a ride on the Maglev system from Shanghai Pudong Airport to the outskirts of the city. 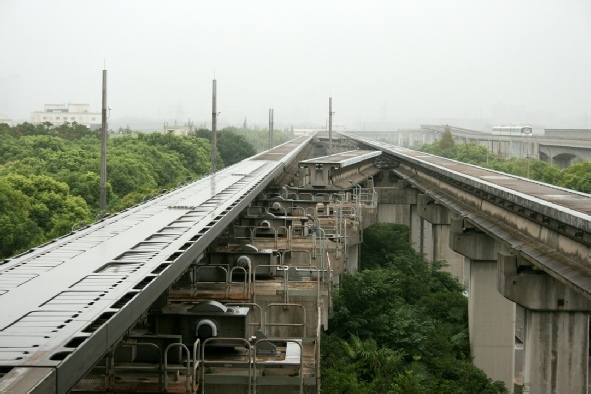 Under the airport is the station for the Metro and Maglev. Tickets cost 80 Yuan return . Not very expensive by English standards at £9 Things are well organised and you go through electronic gates with a recycle style ticket. There are entrance and exit platform to segregate passengers. Loading took a few minutes with enough time to take some photo’s . The inside of the train of 4 vehicles is basic with seats in 3x3 face and back with a premier class section. A minute before train departure the doors close and you feel the train lift up slightly. 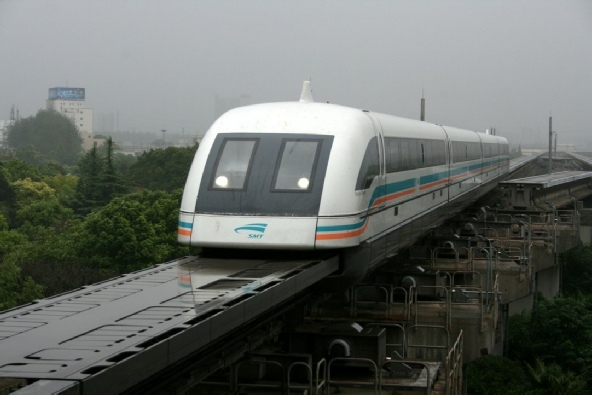 For those who rode the small experimental Maglev at Birmingham Airport it is the same. Dead on the dot the train started moving and in the short journey accelerated to 431 km/h = 270 mp/h. There is a small sensation of speed but there are no trees or overhead line masts to give that feeling. Two trains operate on separate tracks and when passing at high speed it is like an explosion. You do not see the other train as the passing speed is very high. 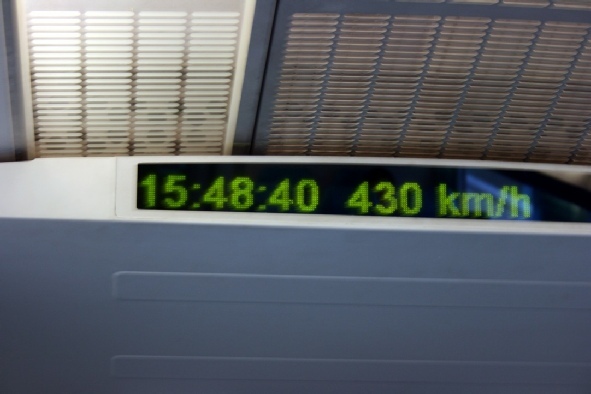 431 k is only attained for about 1-2 minutes as the train needs to slow down for the terminus at Shanghai City outskirts. Another form of transport is then required to get into the city. We attempted to stay on the train for the return trip but were ushered off and had to go out the barrier and back onto the other platform via the ticket gates. The service is a 15 min interval with trains only allowed at certain times to reach 430 k.m/h. The return journey was the same as outbound. The set which we travelled back on had had a bird strike . The bottom of the wedge front windscreen had a massive shatter mark. That is the fastest I have been 6 inches off the track with no wheels. A great system which falls short of its potential. A great experience if you are in Shanghai.